Here are some snazzy birthday facts about 4th of March 1910 that no one tells you about. Don’t wait a minute longer and jump in using the content links below. Average read time of 9 minutes. Enjoy! What day was my birthday Mar 4, 1910? March 4, 1910 was a Friday and it was the 63rd day of the year 1910. It was the 9th Friday of that year. The next time you can reuse your old 1910 calendar will be in 2022. Both calendars will be exactly the same! This is assuming you are not interested in the dates for Easter and other irregular holidays that are based on a lunisolar calendar. What day was March 4 this year? There are 318 days left before your next birthday. You will be 110 years old when that day comes. There have been 39,860 days from the day you were born up to today. If you’ve been sleeping 8 hours daily since birth, then you have slept a total of 13,287 days or 36.38 years. You spent 33% of your life sleeping. Since night and day always follow each other, there were precisely 1,350 full moons after you were born up to this day. How many of them did you see? The next full moon that you can see will be on May 18 at 21:13:00 GMT – Saturday. Fun stat: Your first one billion seconds (1,000,000,000) happened sometime on November 10, 1941. If a dog named Georgebabe - a Border Terrier breed, was born on the same date as you then it will be 456 dog years old today. A dog’s first human year is equal to 15 dog years. Dogs age differently depending on breed and size. When you reach the age of 6 Georgebabe will be 40 dog years old. From that point forward a small-sized dog like Georgebabe will age 4 dog years for every human year. View the complete list of March 4 celebrity birthdays. Who are the famous March 4 birthdays? Here’s a short list of famous people in history who were born on Mar 4. View the complete list of March 4 famous birthdays. 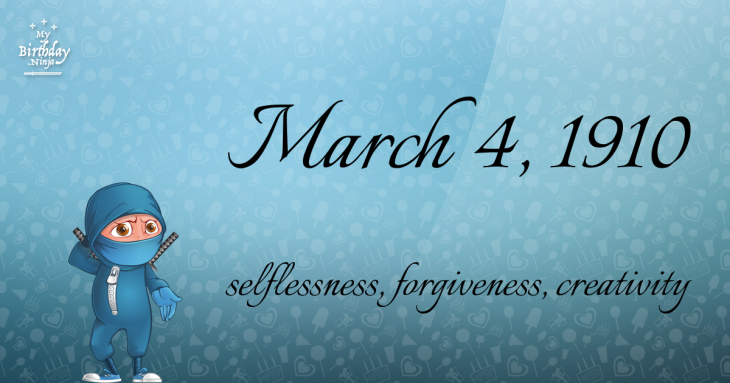 What happened on my birthday – Mar 4th? Władysław II Jagiełło (Jogaila) is crowned King of Poland. The Massachusetts Bay Colony is granted a Royal charter. Charles II grants a land charter to William Penn for the area that will later become Pennsylvania. Cyclone Mahina sweeps in north of Cooktown, Queensland, with a 12 m wave that reaches up to 5 km inland, killing over 300. The Parliament of Austria is suspended because of a quibble over procedure – Chancellor Engelbert Dollfuss initiates an authoritarian rule by decree. A Canadian Pacific Air Lines DC-8-43 explodes on landing at Tokyo International Airport, killing 64 people. The Northern Ireland Constitutional Convention is formally dissolved in Northern Ireland resulting in direct rule of Northern Ireland from London by the British parliament. Nationalist leader Robert Mugabe wins a sweeping election victory to become Zimbabwe’s first black prime minister. View the complete list of March 4 historical events. Curious about this Color Bubbles? This is a party item you can activate and send to your friends when you play the free game Jump Birthday Party. It’s a fun and easy-to-play mobile game for all ages. Get free 1,000 gold coins when you download today! What does my birthday March 4, 1910 mean? Your birthday numbers 3, 4, and 1910 reveal that your Life Path number is 9. It represents selflessness, forgiveness and creativity. You are the philanthropist, humanitarian, socially conscious, and are deeply concerned about the state of the world. The following celebrities also have the same life path number: Josephine Hull, Sean Bean, Diana Damrau, Murat Dalkılıç, Wish Bone, George Formby, Shalim Ortiz, Errol Flynn, Elyse Sewell, Jason Butler Harner. What is the birthday horoscope for Mar 4, 1910? The Western zodiac or sun sign of a person born on March 4 is Pisces ♓ (The Fish) – a mutable sign with Water as Western element. The ruling planet is Neptune – the planet of dreams and imagination. According to the ancient art of Chinese astrology (or Eastern zodiac), Dog is the mythical animal and Metal is the Eastern element of a person born on March 4, 1910. What is the birthstone for March 4? Fun fact: The birth flower for 4th March 1910 is Jonquil for affection. What is the Love Match for Mar 4, 1910? When it comes to love and relationship, you are most compatible with a person born on May 20, 1924. You have a Love Match compatibility score of +131. Imagine being in love with your soul mate. On the negative side, you are most incompatible with a person born on July 9, 1931. Your incompatibility score is -135. You’ll be like a cat and a dog on a love-hate relationship. Arf-arf, I want to bite you. Meow-meow, stay away from me! What is a good birthday trivia for March 4? I do not know how you feel about this, but you were a male ♂ in your last earthly incarnation. You were born somewhere around the territory of Greece approximately on 775. Your profession was sailor, shoemaker. What is the popular baby name on 4 Mar 1910? What’s your bizarre Florida Man story? The #FloridaManChallenge is breaking the Internet and social media. Some crazy men, women, or creatures from the Sunshine State are making headlines every day of the year including your birthday. Try this fun exercise. Pick your search engine of choice and type in “florida man March 4” and see what kind of wild news headline you will get. This viral craze started in 2013 and gets resurrected now and then. The latest was from Tumblr and found its way to Twitter. As they say, the rest is history. Here’s a quick list of all the fun birthday facts about March 4, 1910. Celebrities, famous birthdays, historical events, and past life were excluded. 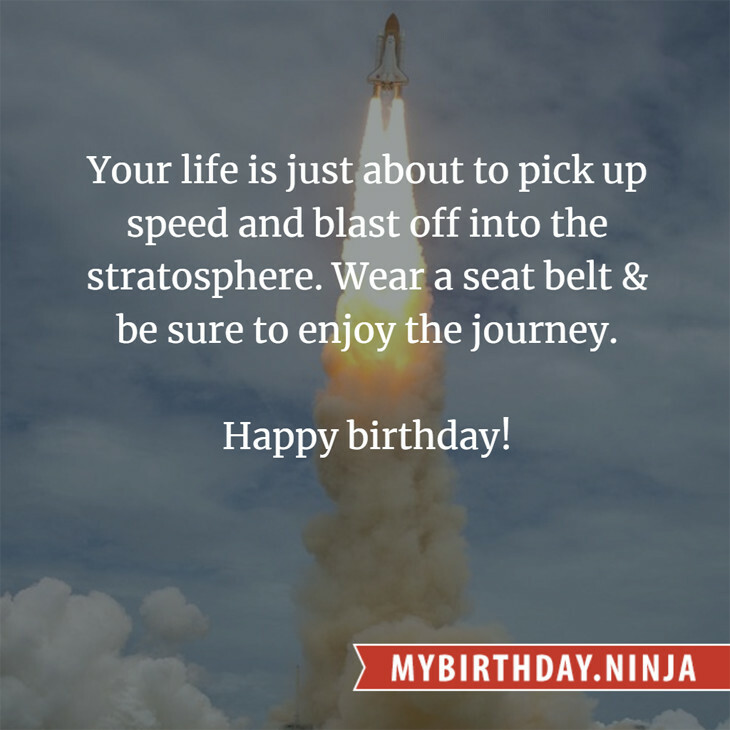 Try another birth date of someone you know or try the birthday of these celebrities: January 14, 1957 – Suzanne Danielle, English actress; August 23, 1961 – Hitomi Takahashi, Japanese actress; September 20, 1976 – Yo Hitoto, Japanese singer.